Delicious dining experiences delivered right to your hotel room door! Room service is available from 6am to 10pm every single day. All food is freshly prepared in the Sure Cafe’s kitchen, so you’ll be guaranteed top-notch food and service all in the comfort of your own room. The Urban Sweet Room offers 180-degree views over Lane Cove from your room and even has a private balcony. It’s the perfect room to get all romantic with your lover or just spoil yourself rotten in! Magnificent Sydney Harbour views from a private balcony. The Urban Balcony Room has picturesque views over Lane Cove from your very own private balcony. 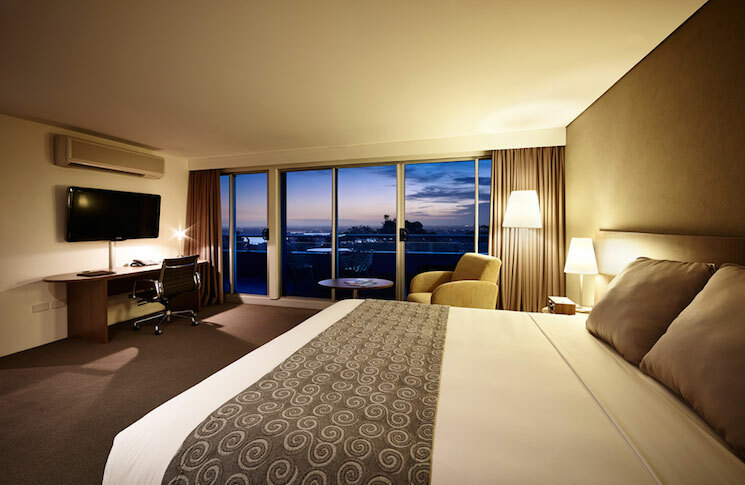 The room features a comfy King-size bed, exclusive premium amenities, Foxtel, large LCD TV, and our snug Urban slippers and bathrobes.